We all want to know what it takes to live a long, healthy, and happy life. 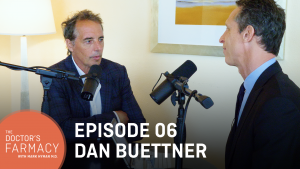 My friend and author, Dan Buettner, set out an on adventure to find the answers, and he put his findings in his best-seller, The Blue Zones. Dan always has been a fascinating guy. He is a National Geographic fellow, in charge of leading expeditions—he’s essentially a real life Indiana Jones. 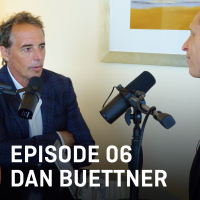 I recently sat down with Dan to talk about his adventures, all of the incredible places he has traveled to, and his experiences in the Blue Zones, a term that he’s coined to designate the geographic regions where high percentages of centenarians are enjoying remarkably long, full lives. A long, healthy life begins with good genes, but it also means more than that. Dan found commonalities amongst each of these Blue Zones which led to a formula for success that includes community, lifestyle, and spirituality. These three ingredients can lead to longevity. Incorporating key and powerful principles in each of these areas can create health, and neglecting them can create dis-ease. As a physician, it took me years to understand that health often extends beyond our biological systems. 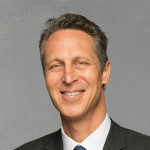 We need to set up our environment to enhance those systems, and this is what Dan and I get into on this week’s episode of The Doctor’s Farmacy. If you are enjoying these conversations, be sure to subscribe to them on iTunes or anywhere you listen to podcasts. And, you can watch the full interview right here on YouTube.